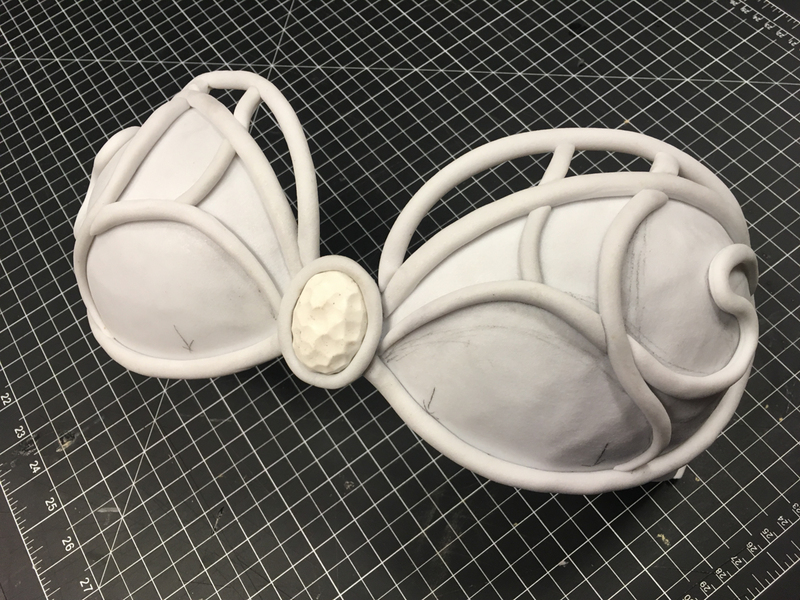 We contacted Termina Cosplay to create a tutorial with the new Worbla’s Pearly Art, and she shared how she made this bikini styled breastplate armor with negative details. Take a look at her tutorial below! 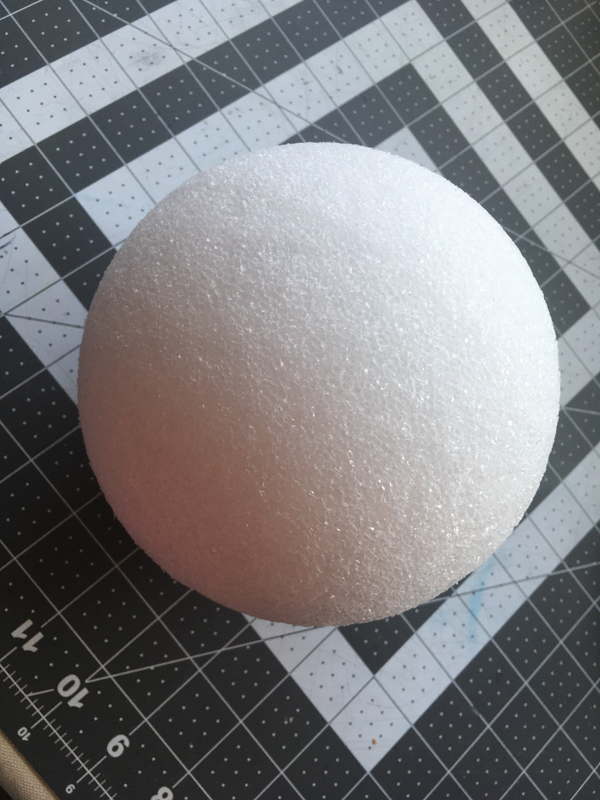 To make the cups for this breastplate, I use a styrofoam ball. 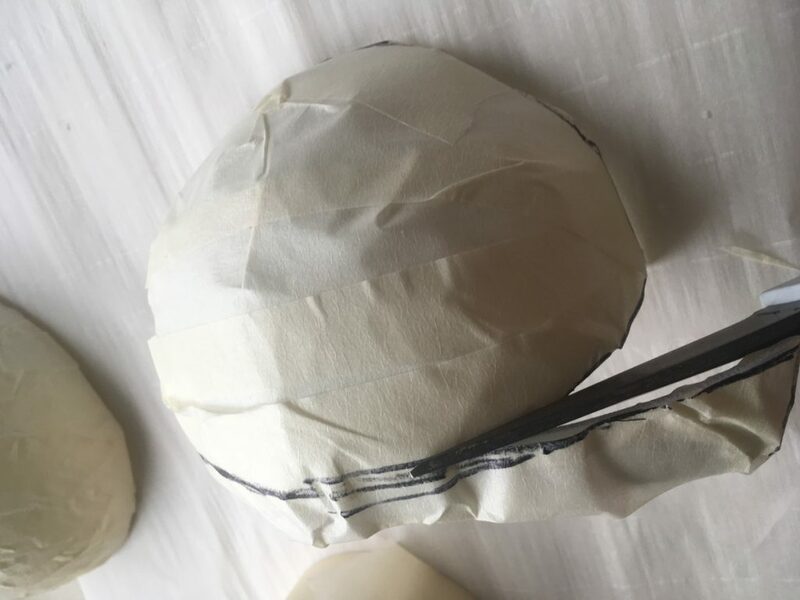 To start, cut the ball in half and wrap it in masking tape. 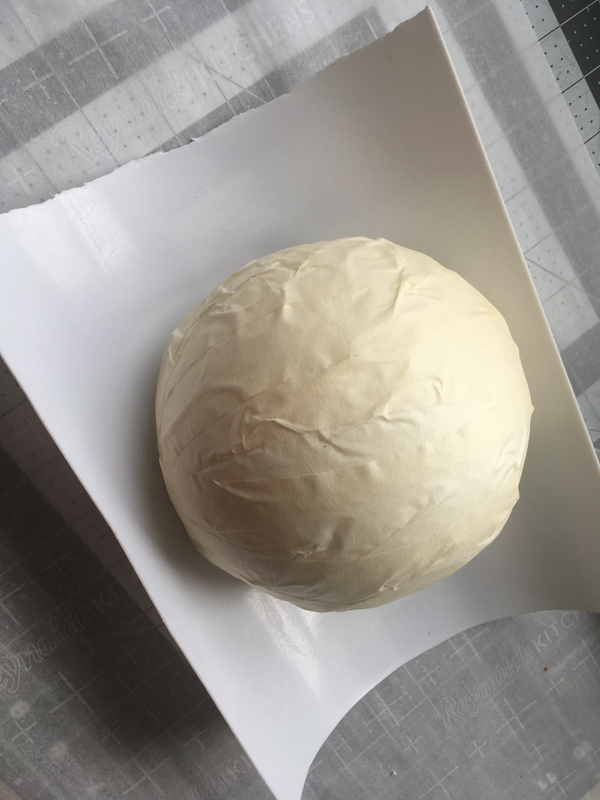 Covering the ball with masking tape will keep the Worbla from sticking to it and keep the heat from the heat gun from melting it. 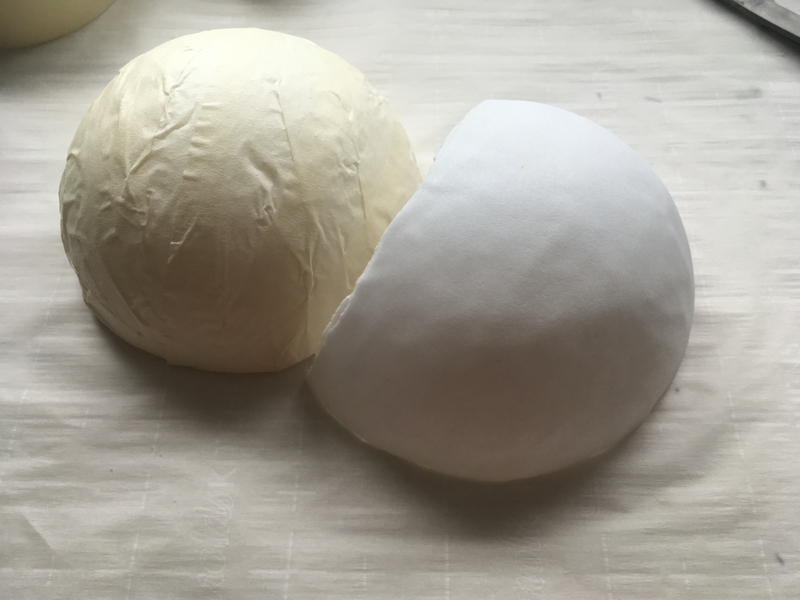 To make the cups, cut out two pieces of Worbla big enough to cover the ball. 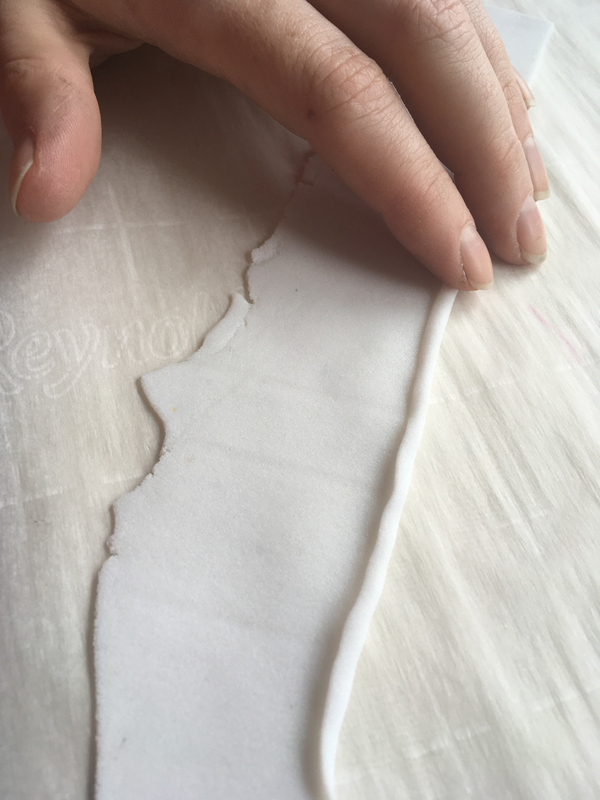 Heat those pieces up and stick them together to make a double layer thick sheet. 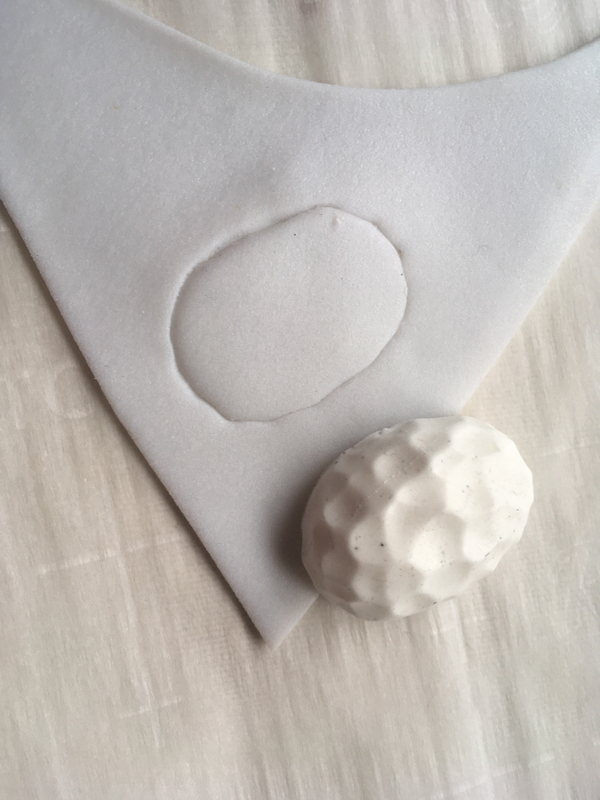 Then, make sure the sheet is completely heated and stretch it over the ball, making sure to get it as smooth as possible. You can heat it back up as you work if you need to. 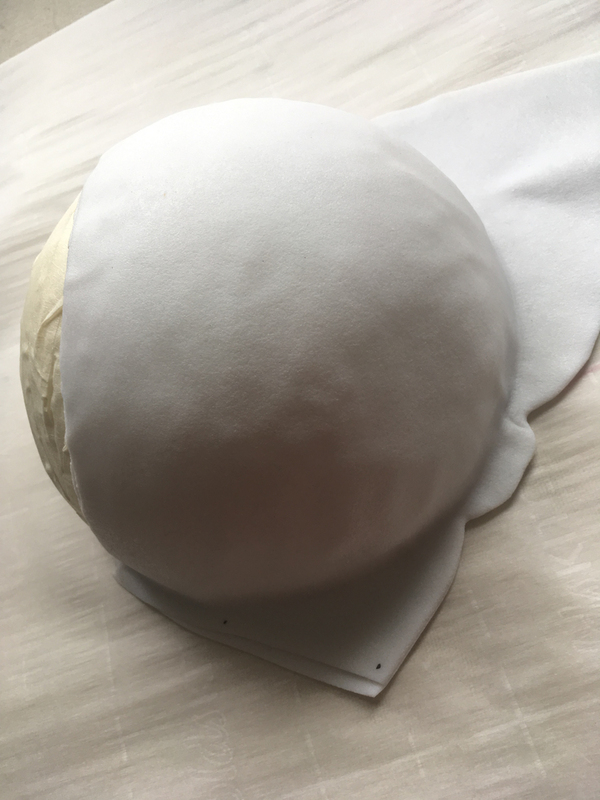 After that, cut off the excess Worbla from the bottom and let it cool. Once its cool, its safe to remove. Repeat the process for the second cup. 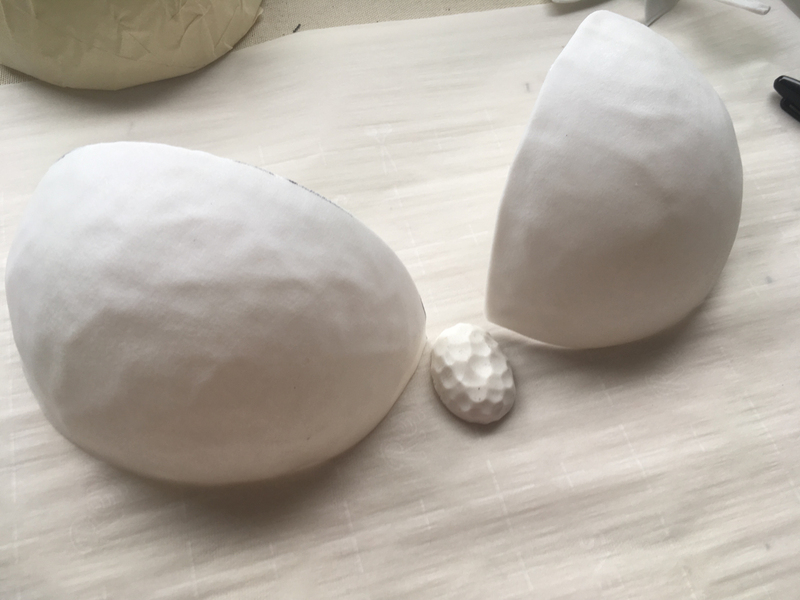 Next, its time to shape the cups to your liking! 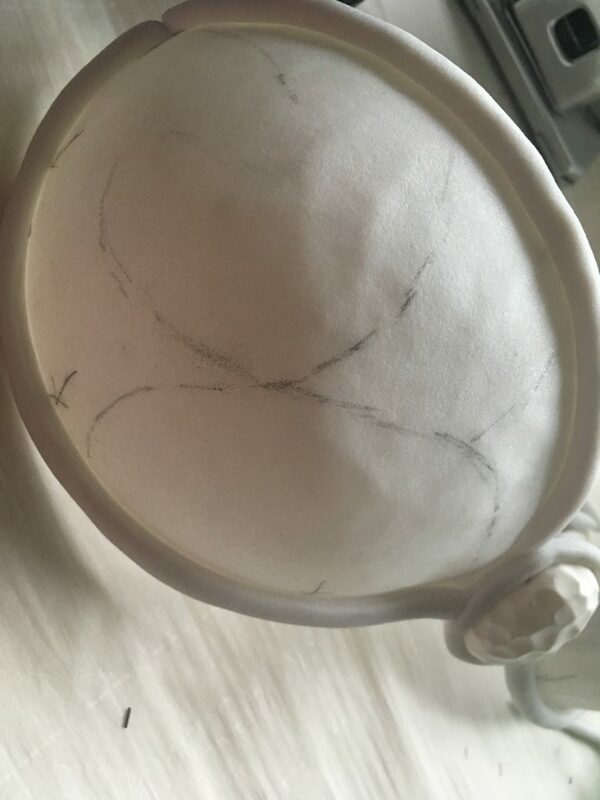 To do this, I cover the cup in masking tape and draw the lines I want to cut. Then, I just cut along the lines while the tape is still on. To copy the shape onto the second cup, carefully take the tape off, turn it inside out, cover the sticky side with plastic wrap, and use it as a pattern to shape the other cup. You’ll get a perfectly symmetrical cup this way! 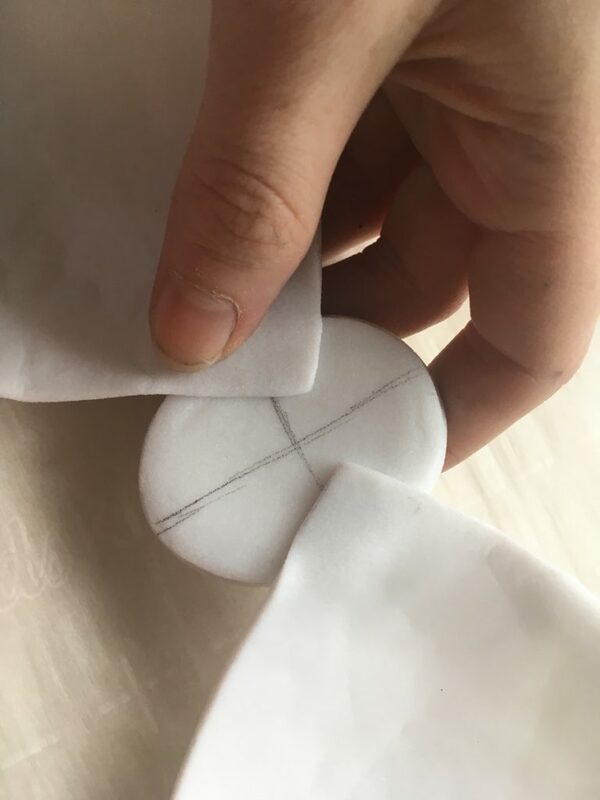 It may be hard to see which side is up and which side is down once they’re cut, so be sure to mark your pieces accordingly to make sure you can remember. I use arrows to indicate which side is the bottom. 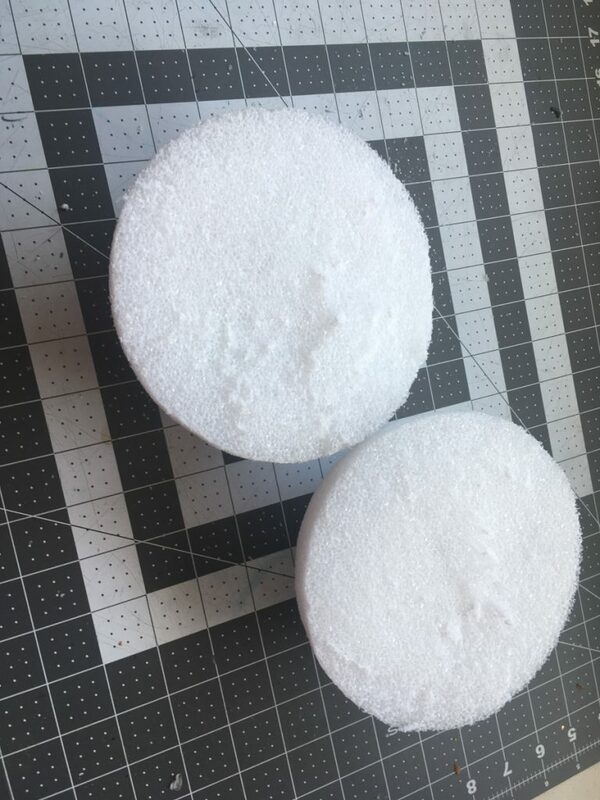 To connect the cups, I used a resin cast gem as the center and connected the two sides with a setting. 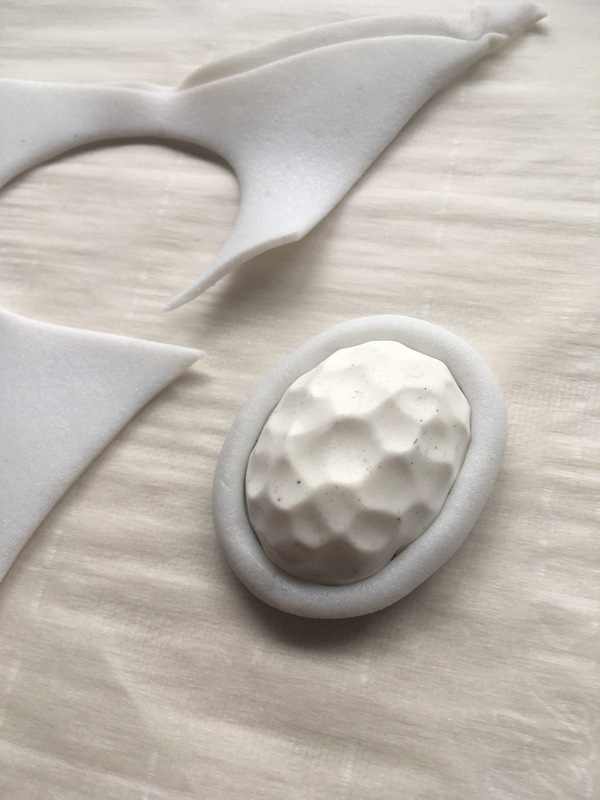 Make the setting, start by taking your gem and pressing it into a double layer thick piece of Worbla. 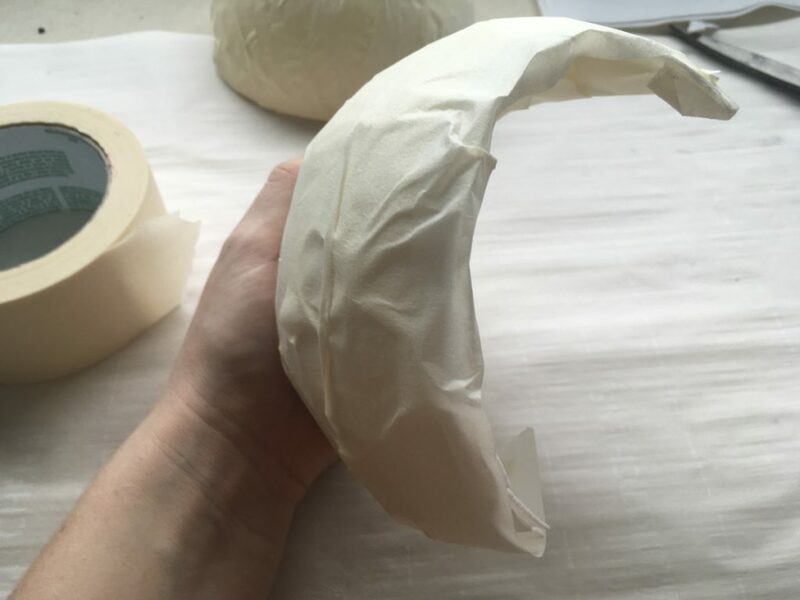 Then, make a “noodle” out of Worbla by taking a long, flat piece, heating it up, and rolling it up from one side. 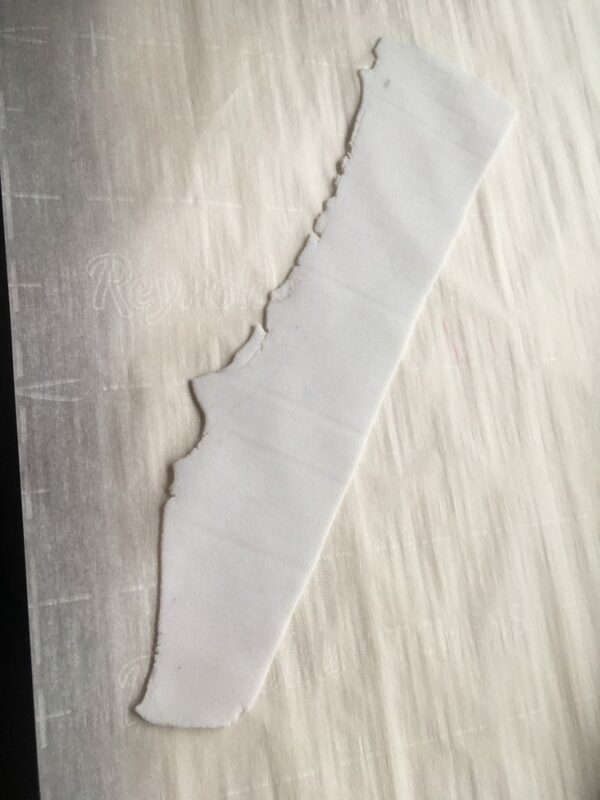 Once it is the thickness you want, cut the excess off, heat it up again, and roll it to seal the edge. 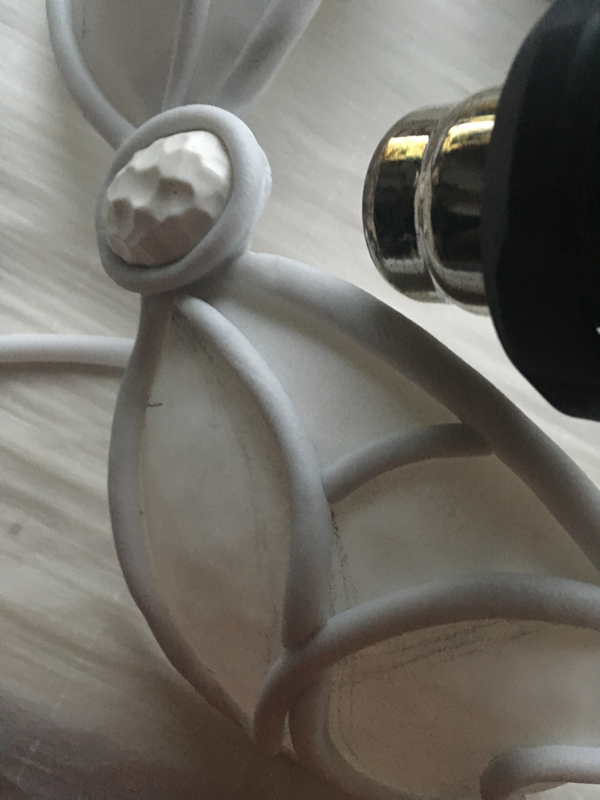 Take your noodle and make the outside edge of the setting by heating the base and pressing it down around the shape of the gem. 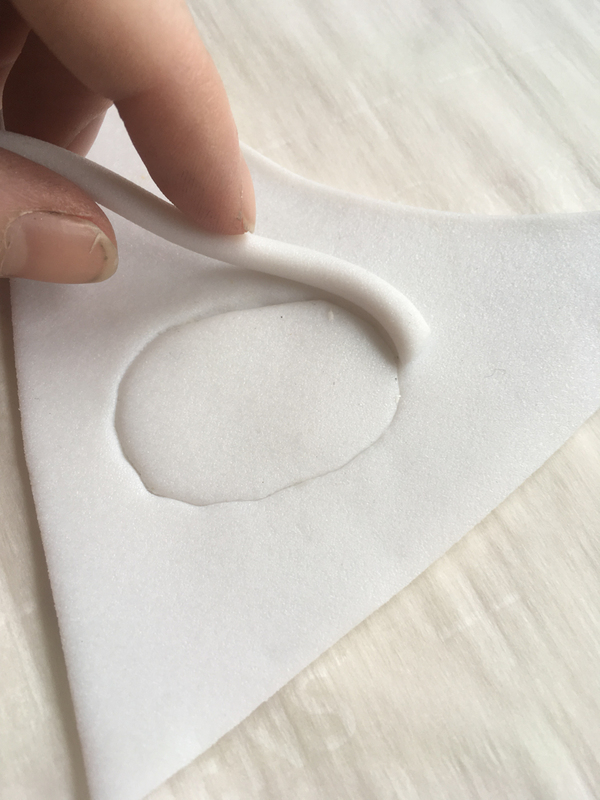 You can use clay tools and heat to seal up the gap left behind as well! 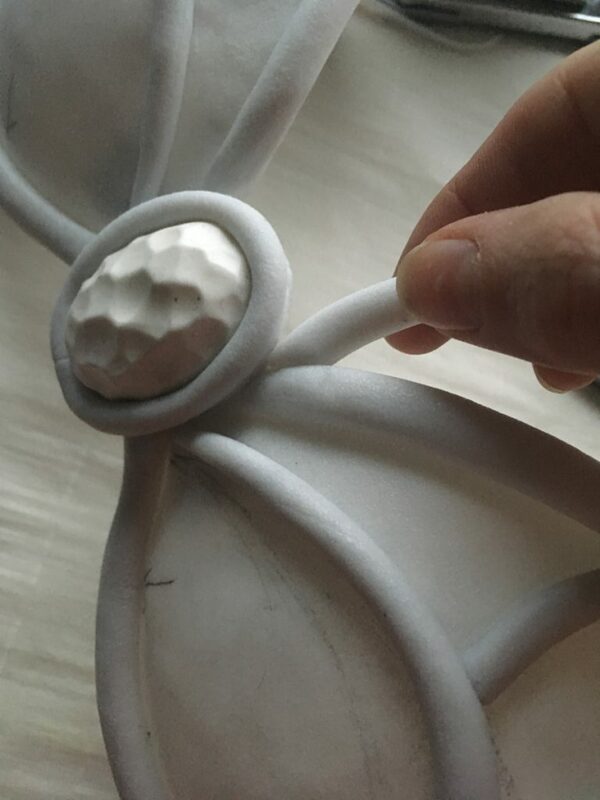 Lastly, cut the setting out and you’re ready to connect the cups with it! 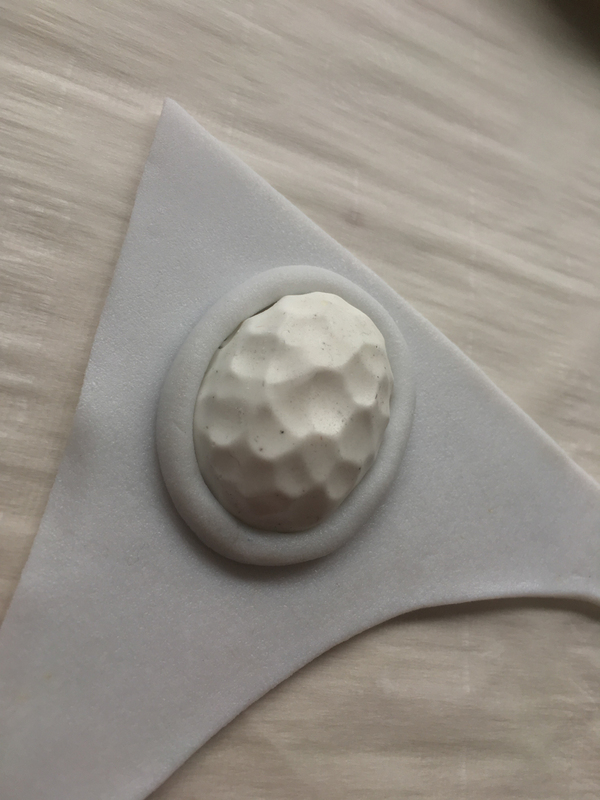 Now, heat up the inner corner of the breastplate and the gem setting and press them together. Do the same with the other side. 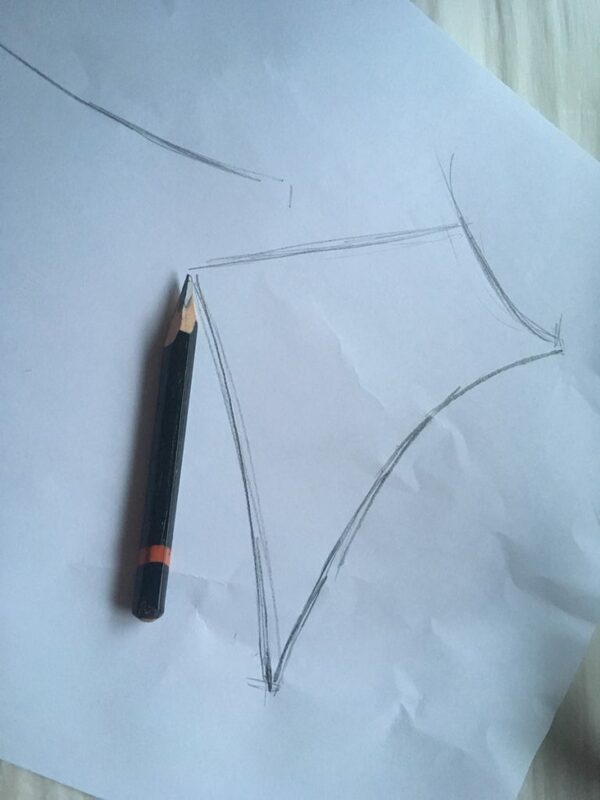 To make it easier to line up symmetrically, draw guidelines on the back to help you! 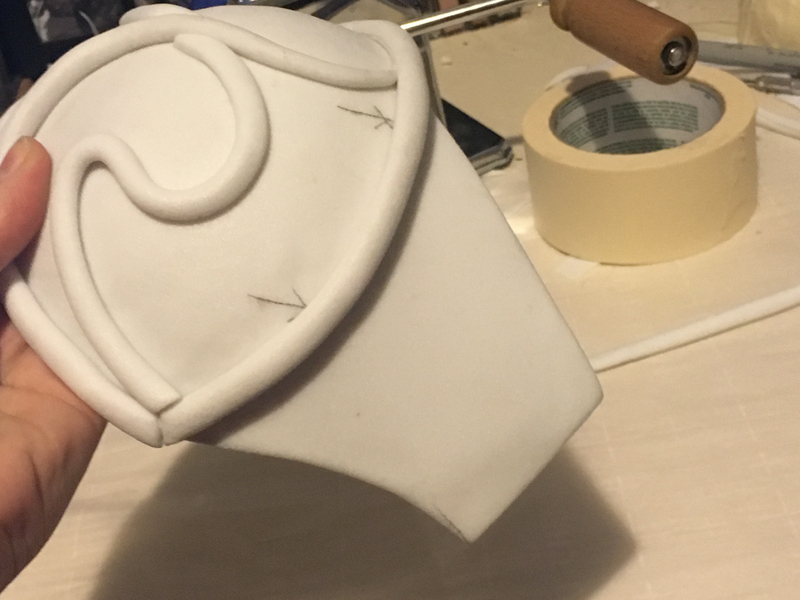 You can also reinforce the back with a strip of Worbla if you want to make sure it doesn’t come apart. 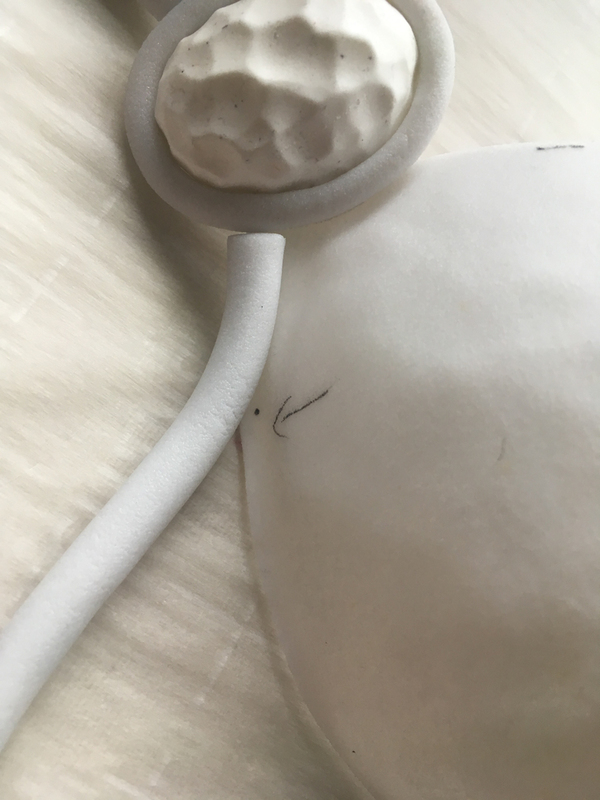 It may not fit correctly right after attaching everything together, so to shape it, heat up ONLY the center and fit it directly to your body while it cools. 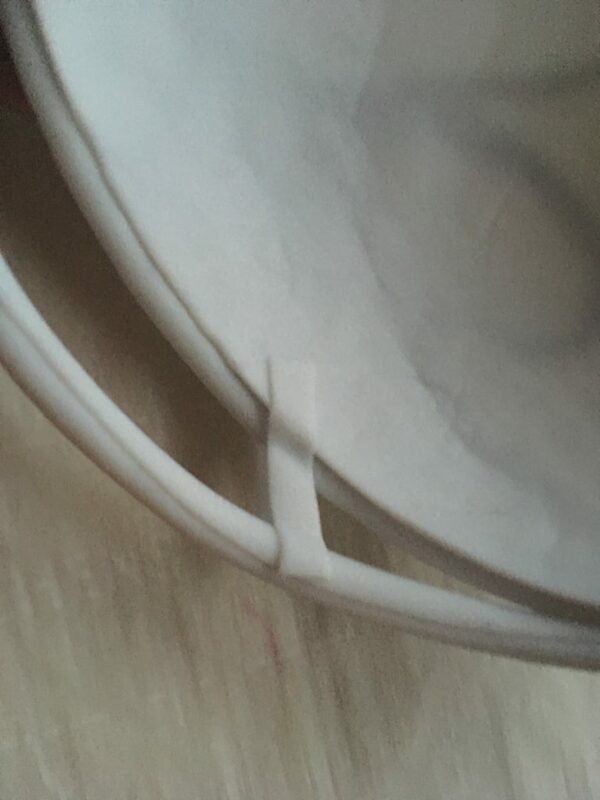 If you heat up more than just the center, your risk warping the cups out of shape, so be careful! 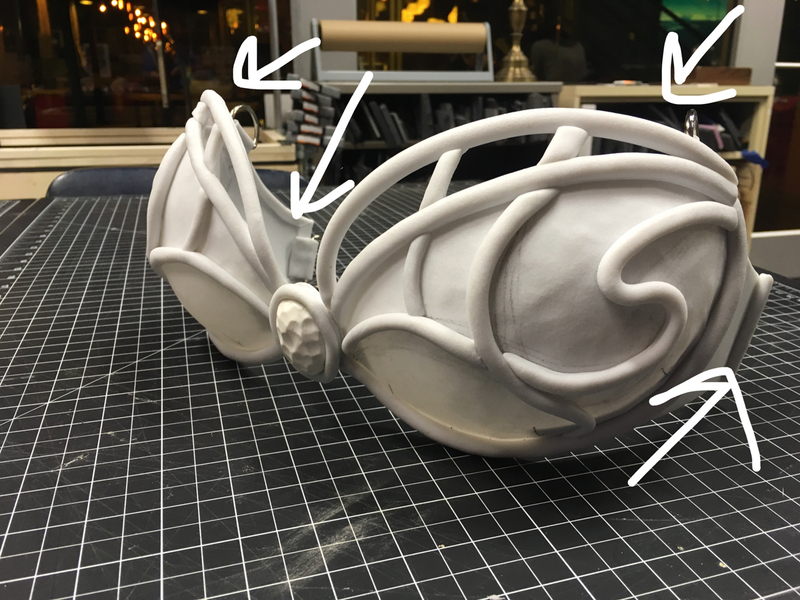 To make the details, we’re going to use more Worbla noodles! 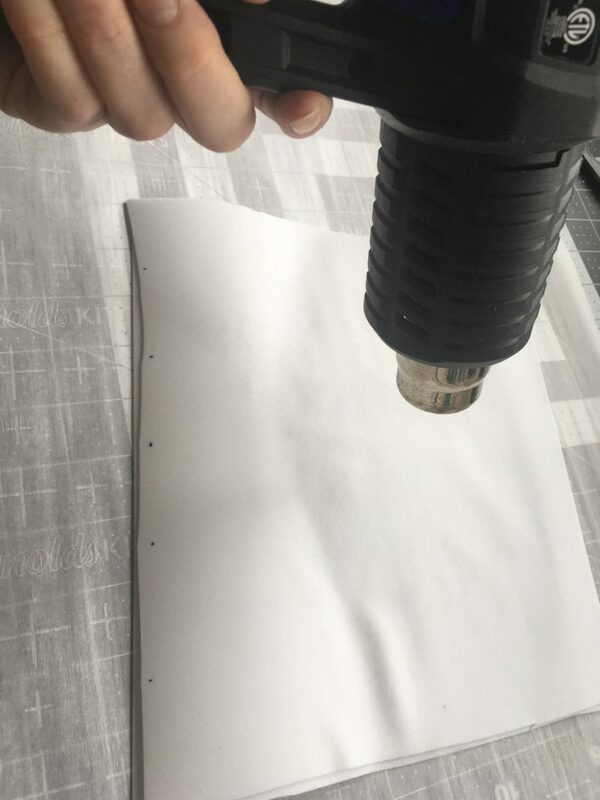 Start with the edges and carefully add on the noodles using your heat gun. 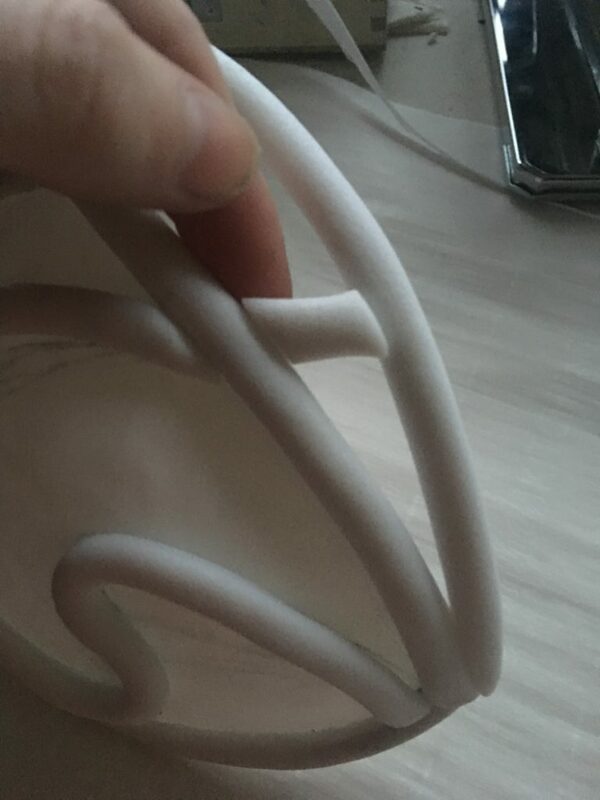 Be sure not to heat the cups so much that they warp out of shape! I little heat goes a long way. 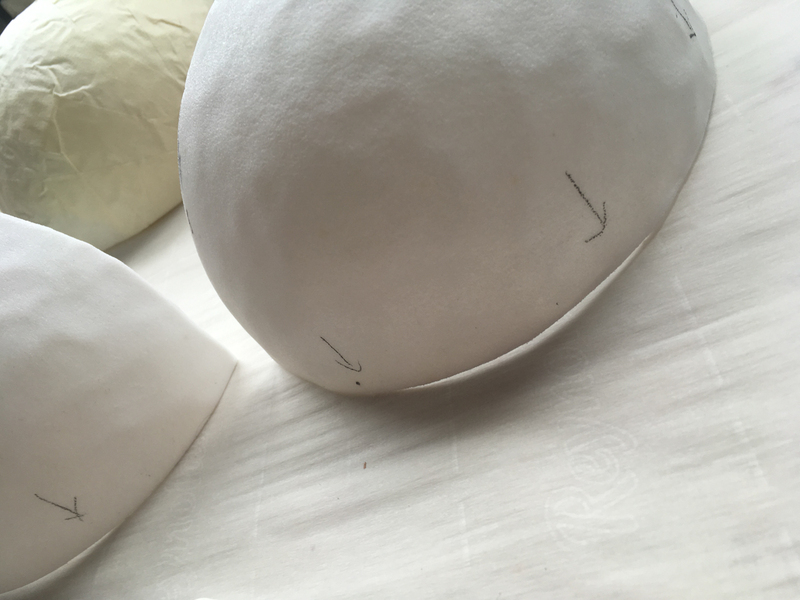 To do any details on the inside, you’ll need to make a pattern to ensure both sides will be symmetrical. 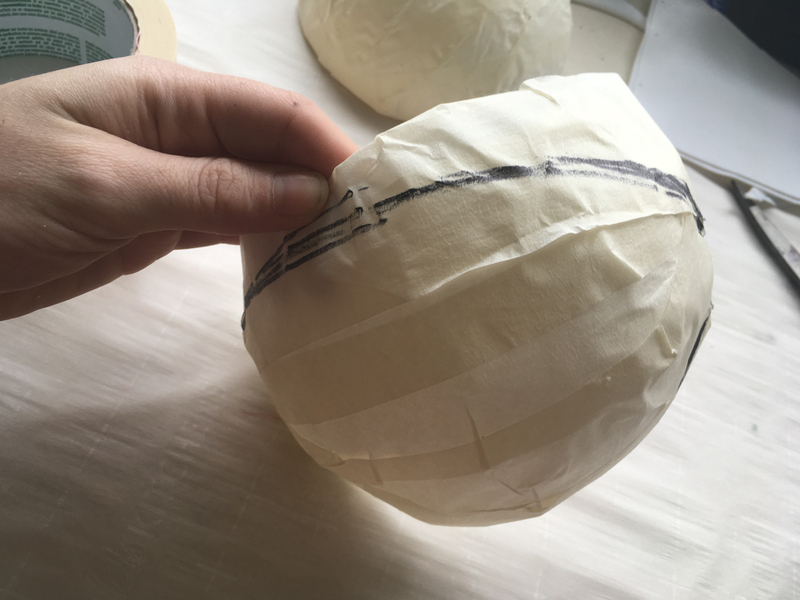 Cover the inside area with masking tape again and draw your pattern. 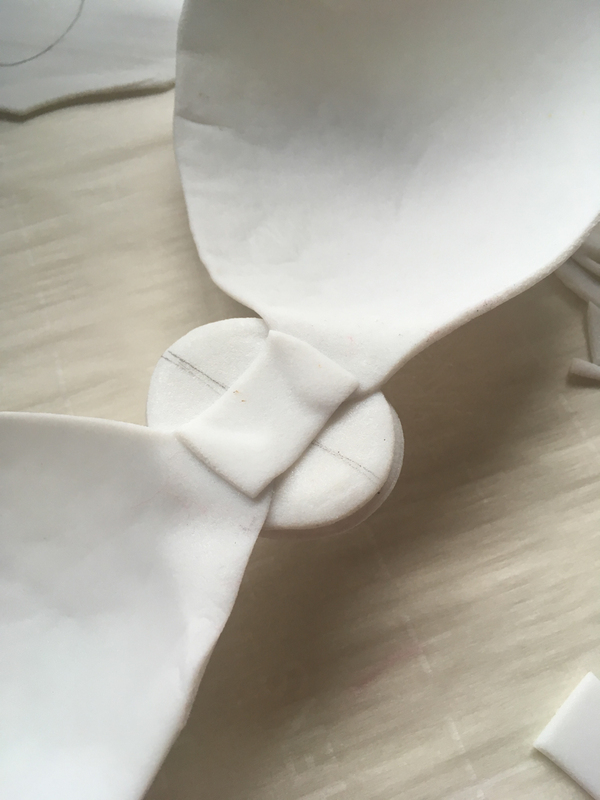 A pencil is best for this part because it makes it easy to transfer the pattern. 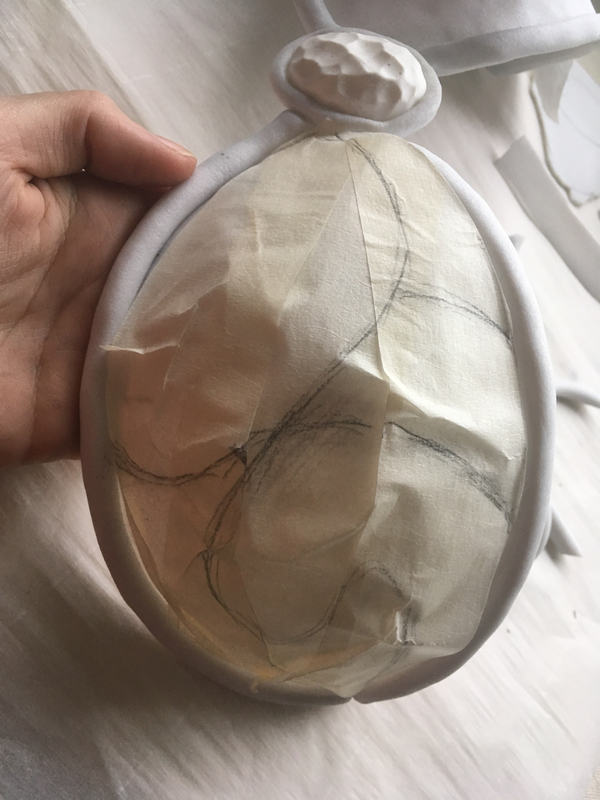 To transfer the lines to the other side, carefully take the masking tape pattern off, flip it inside out, and transfer the lines by drawing over the back so that the pencil lines transfer onto the Worbla. 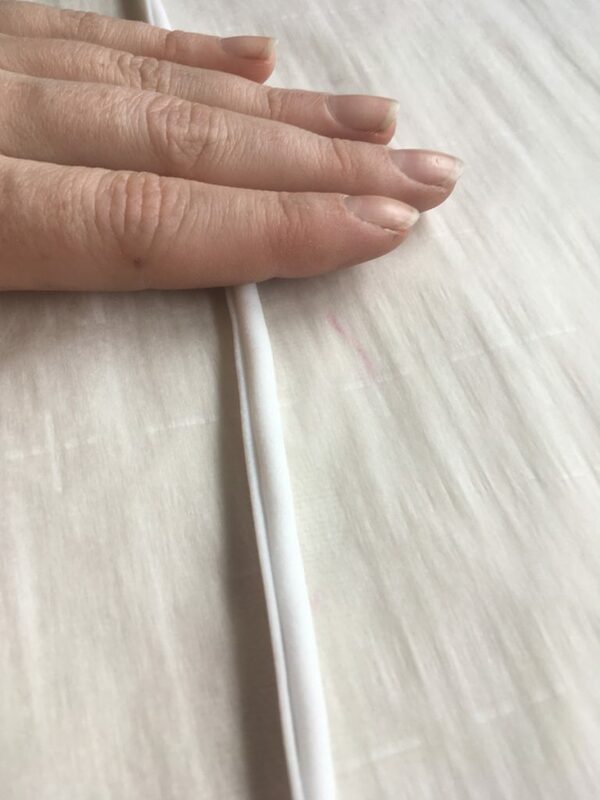 Remember, pen or marker lines will not transfer this way, so be sure to use a pencil! 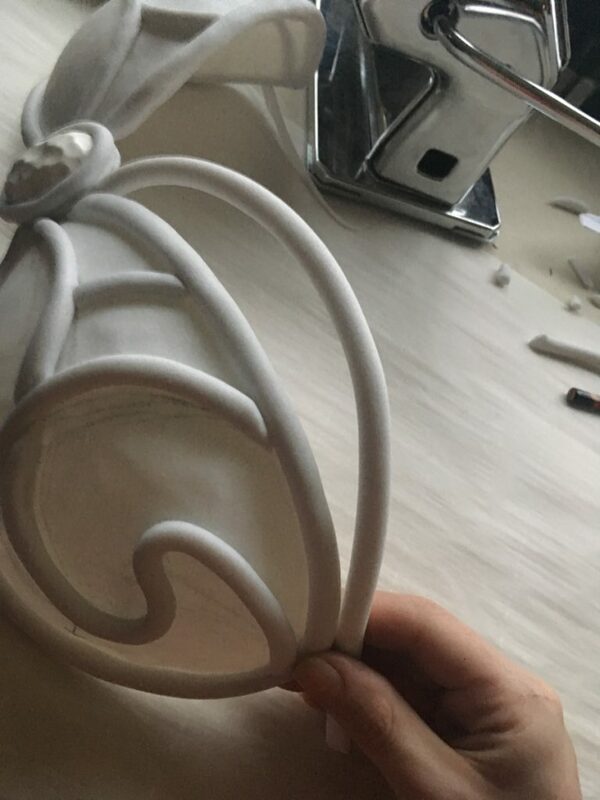 Then, make more Worbla noodles and add them on with your heat gun following the lines. 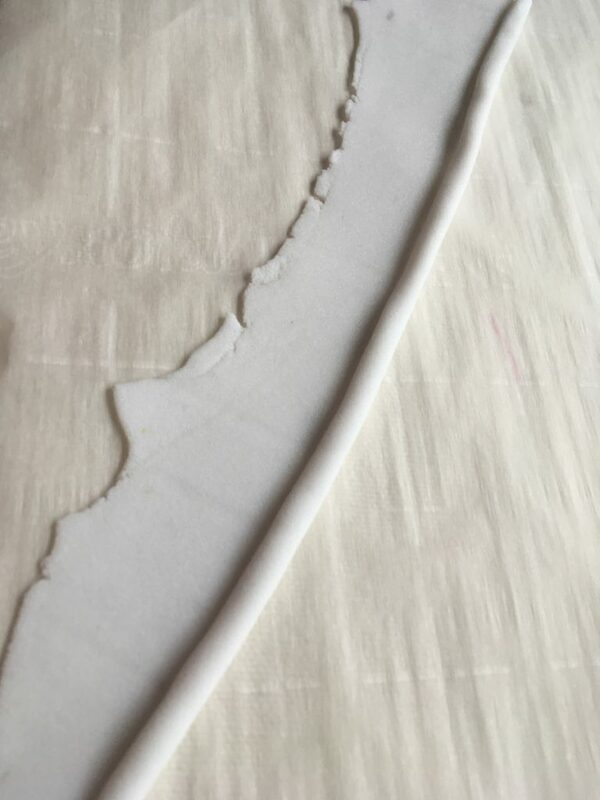 You can also add cut out details using your noodles. 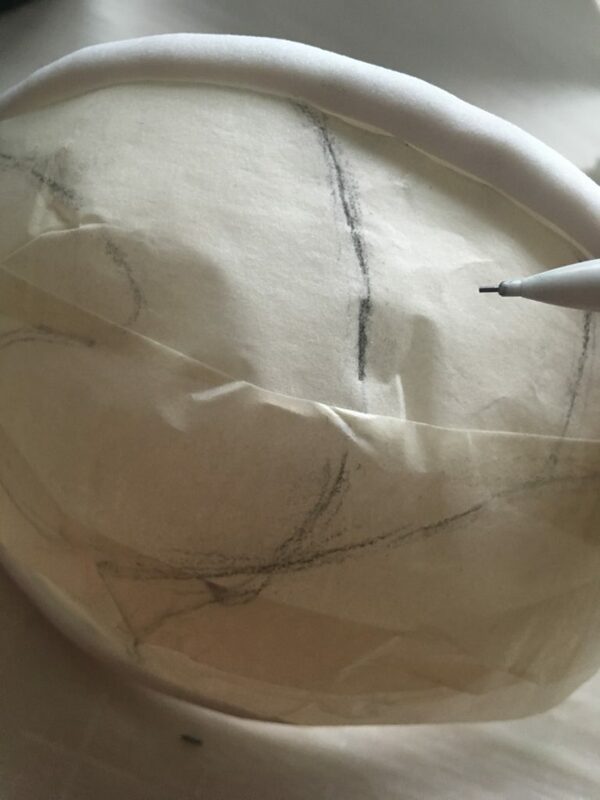 While the noodle is still warm and flexible, heat up the area on the breastplate you want to attach it to. Then, press one end on and shape it to fit how you want! Be sure to heat up the other end before attaching it on. 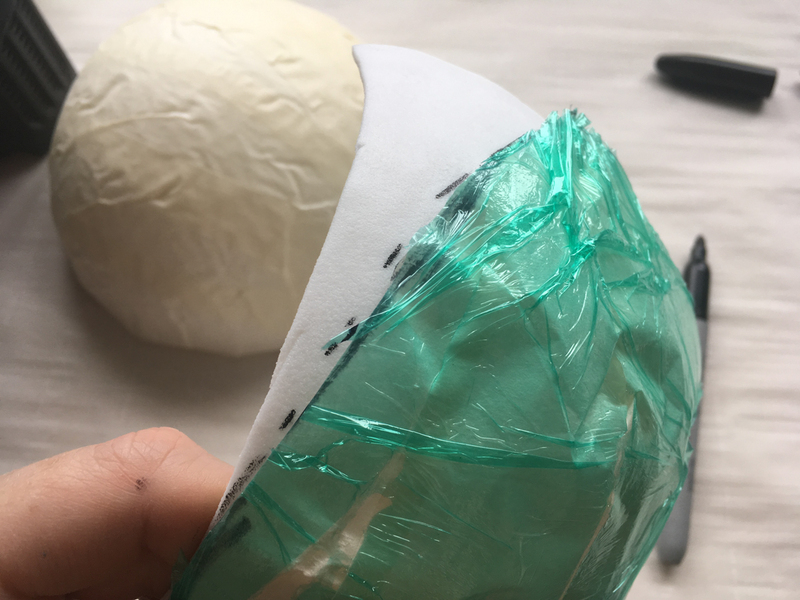 Once that noodle has cooled and is in place, you can add more, smaller pieces to connect it to the rest of the breastplate, making some really cool cut out designs in the process! 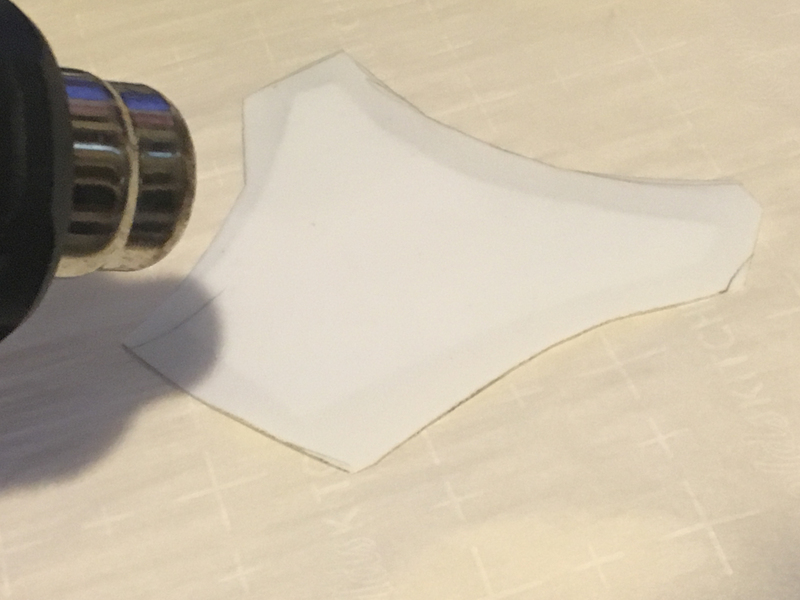 Just cut your noodle piece to fit, heat the area you want to attach it to, and press it on! 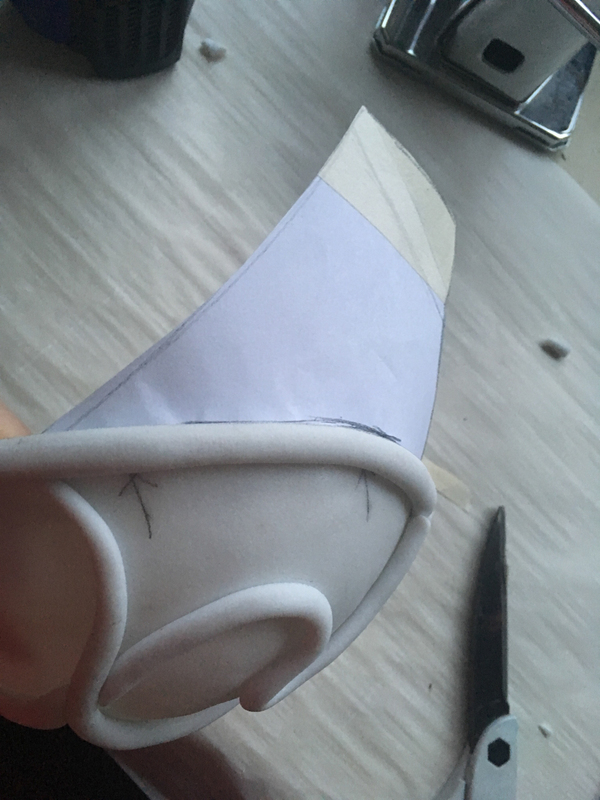 to strengthen the bond, add a small flat strip of Worbla to the back! Step 5: Add Side Panels. 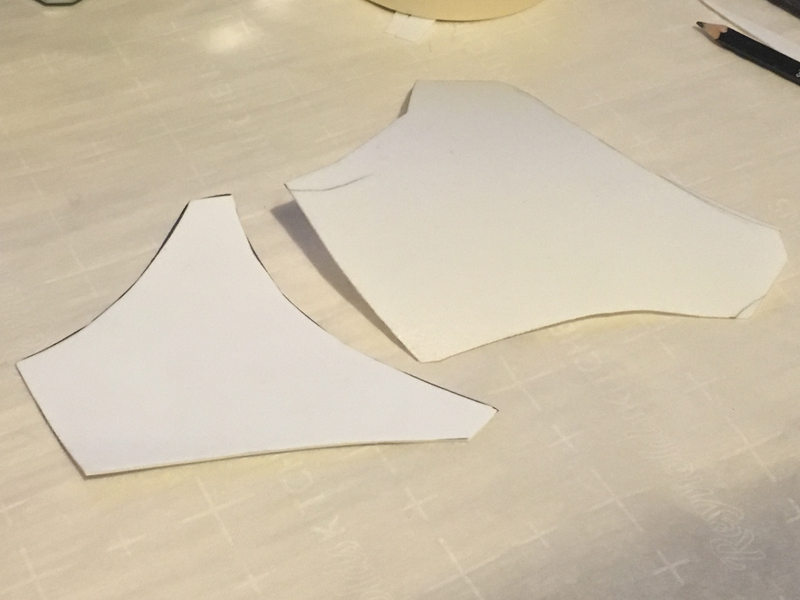 Side panels will give your breastplate more structure and help it fit better. 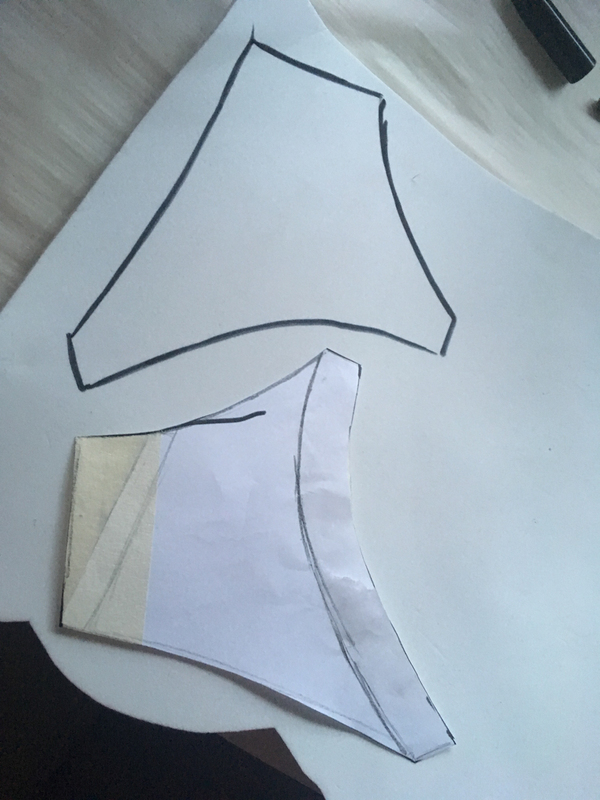 To make them, start by making a pattern for the shape and size. 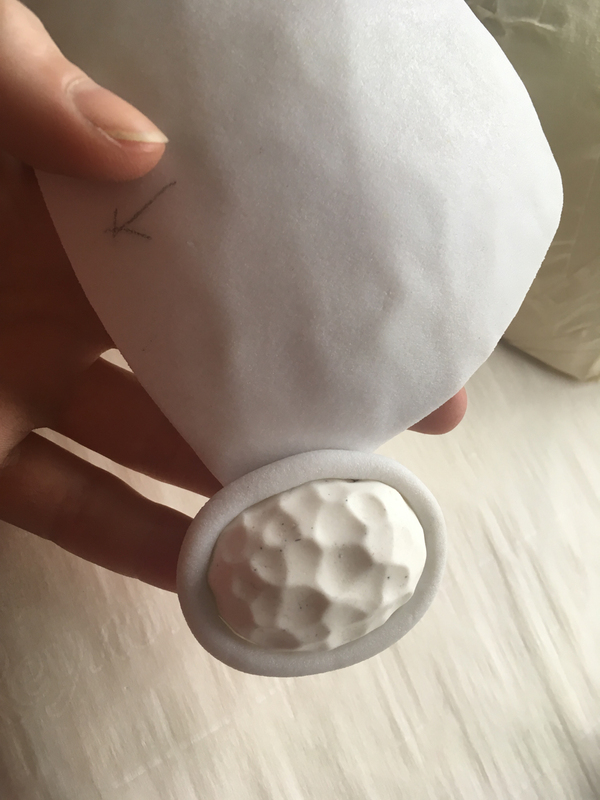 You’ll want it to fit along the outside edges and wrap around your body a bit. 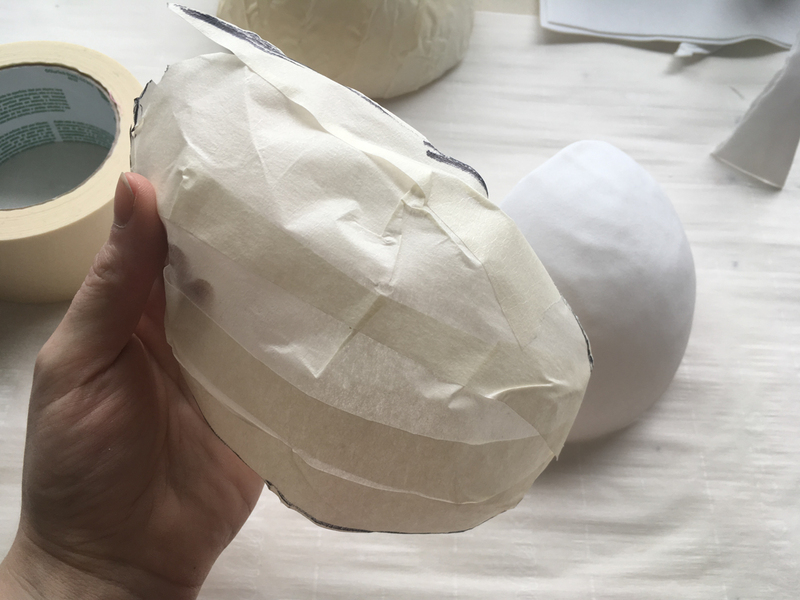 Once you’re happy with the size and fit, transfer the pattern onto craft foam. Cut two pieces so you have one for each side. 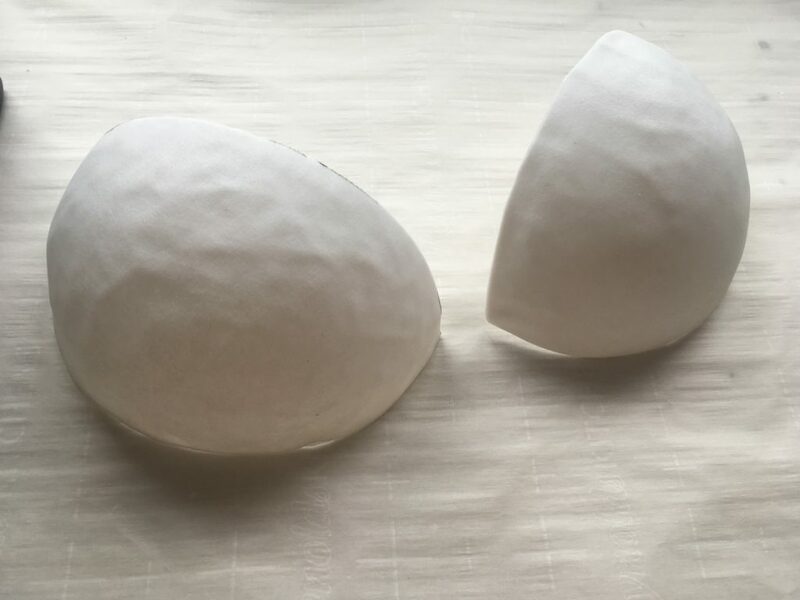 Then, cover each one with Worbla. 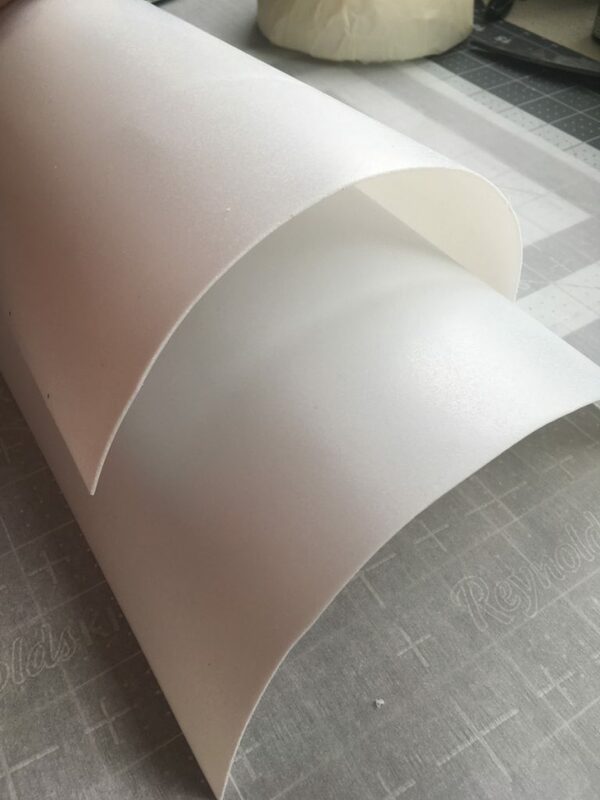 Cut a piece of Worbla a bit bigger than your foam piece, heat it up over one side of the foam, and then wrap the edges over to the back. Seal up the edges and cut off the extra Worbla on the corners that form after folding! 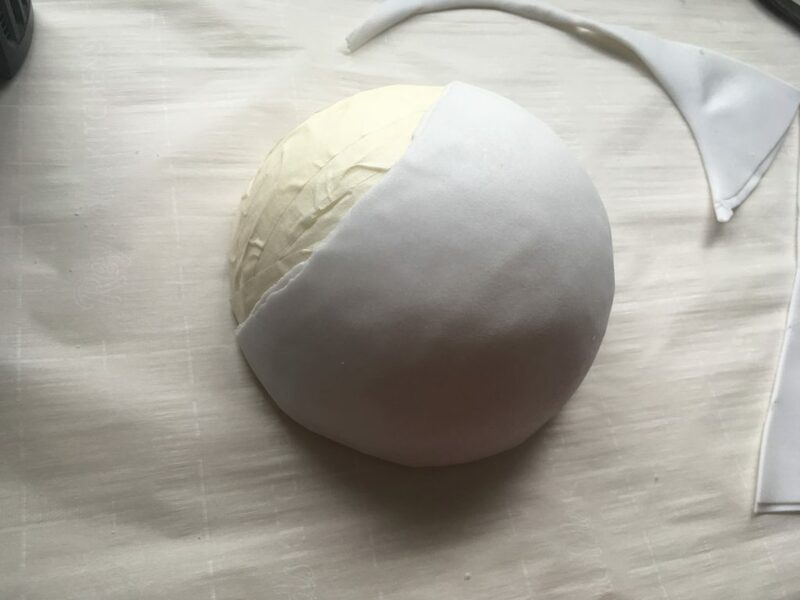 Then, heat the entire piece back up, attach it onto the breastplate, and shape it to fit. 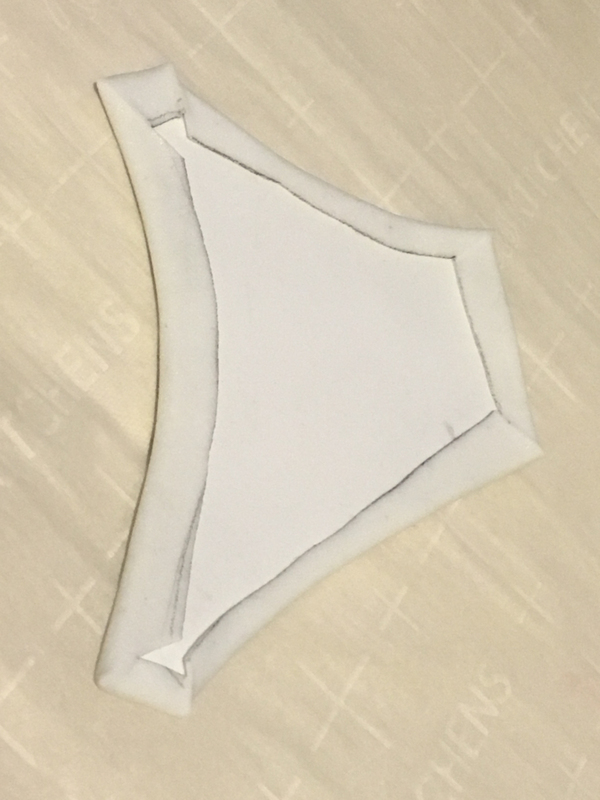 Last, You can add a bit of detail to the side panels to match the rest of the breastplate. 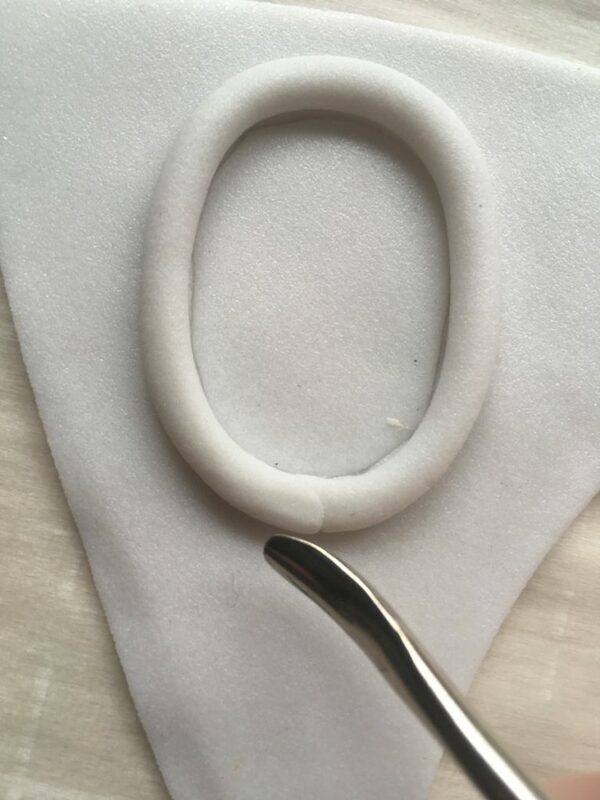 For the last step, we add D rings. 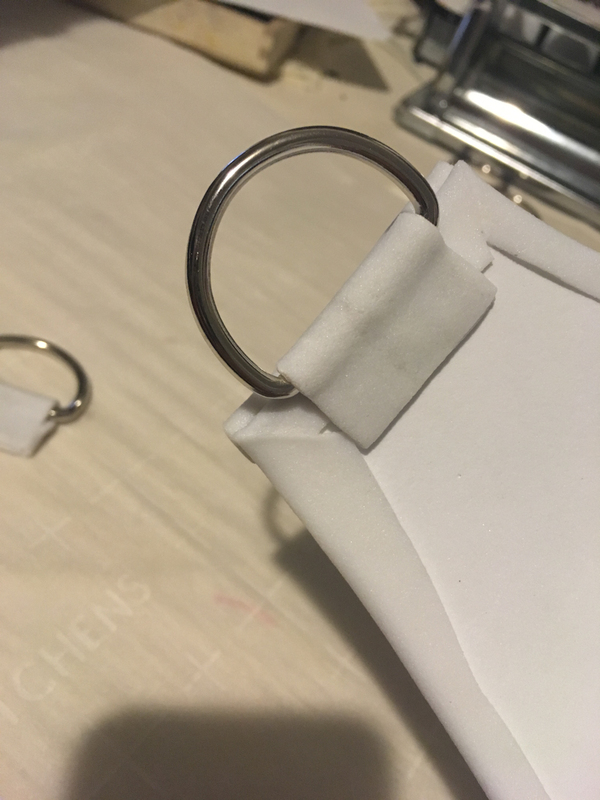 D rings make it easy to add straps on, so they’re very useful! 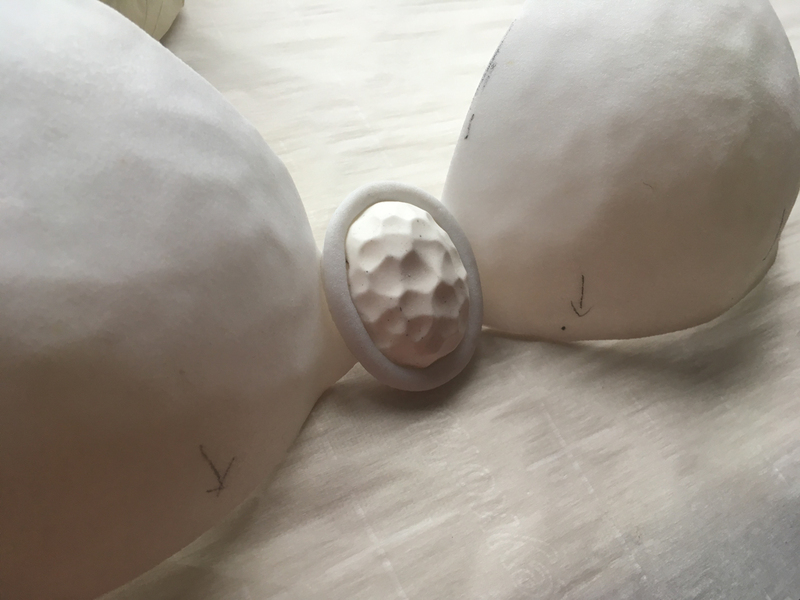 To add them on, take a small strip of Worbla, heat it up, put it through the ring, fold it onto itself, and then press it onto the inside of the breastplate. 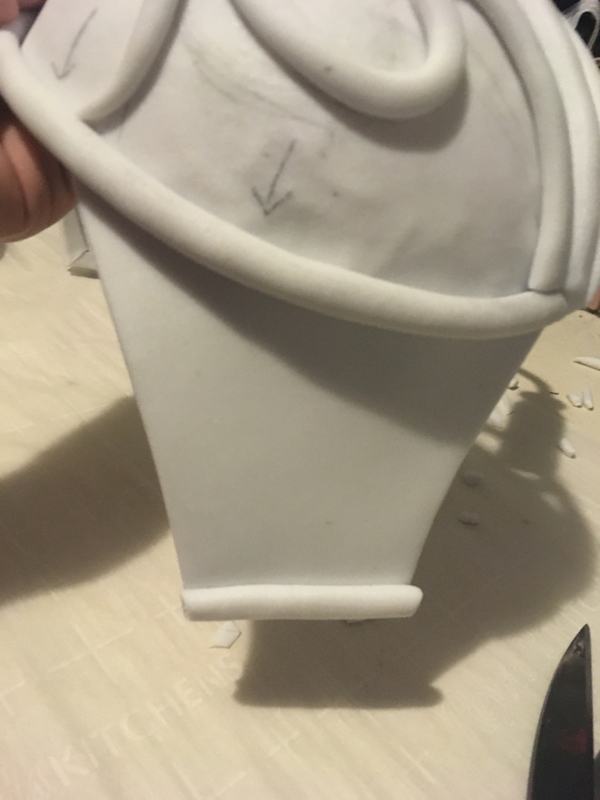 Be sure to heat the spot on the breastplate as well to ensure maximum hold! 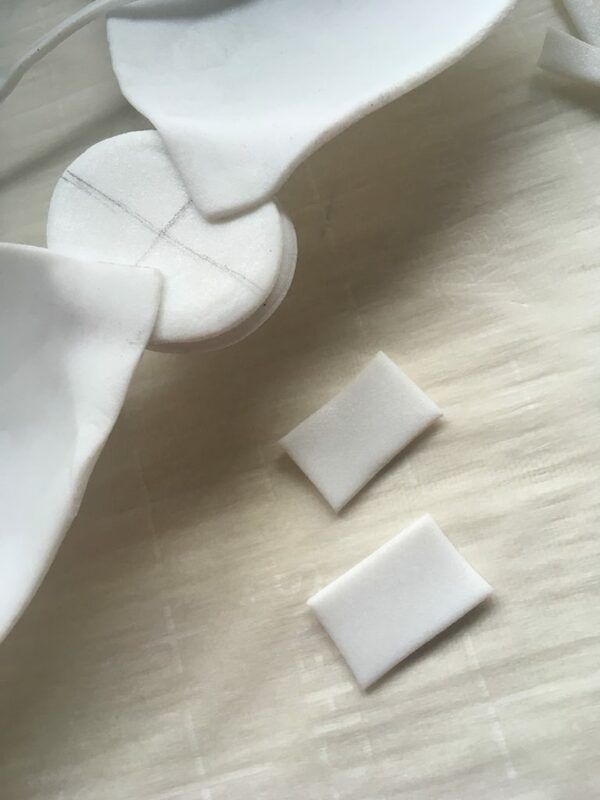 As the arrows below indicate, add D rings to the side panels and to the tops of the cups. 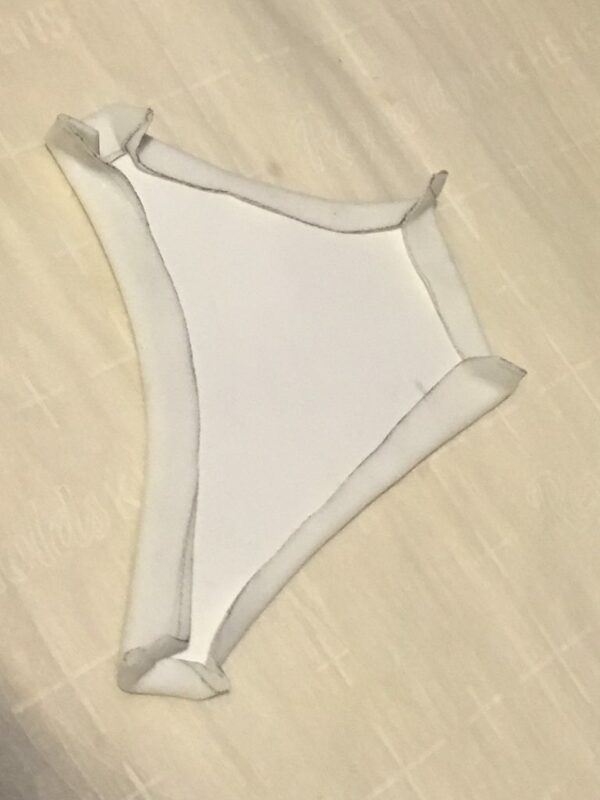 This way you’ll be able to attach straps over the shoulders and around the back. 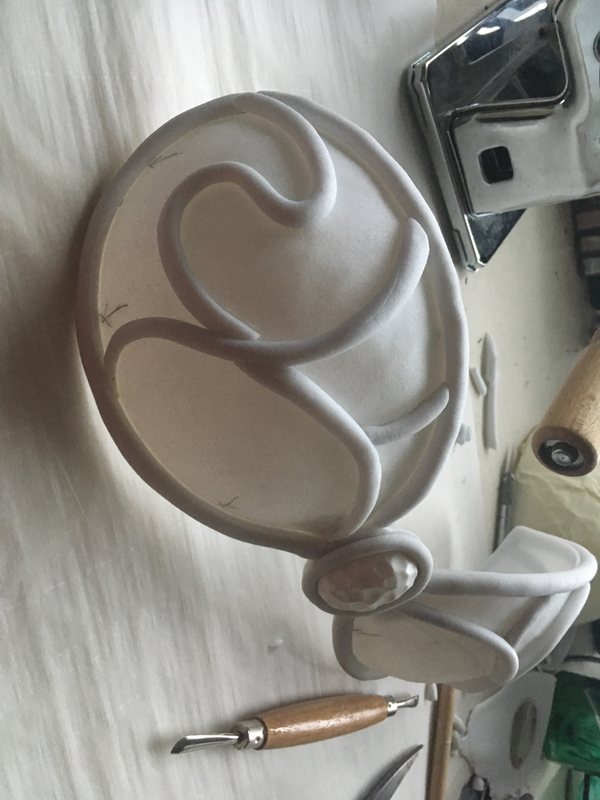 After that, all that is left to do is finish it with some primer and paint. There are many different ways you can do this, so do a bit of research and choose the way that’s best for you! 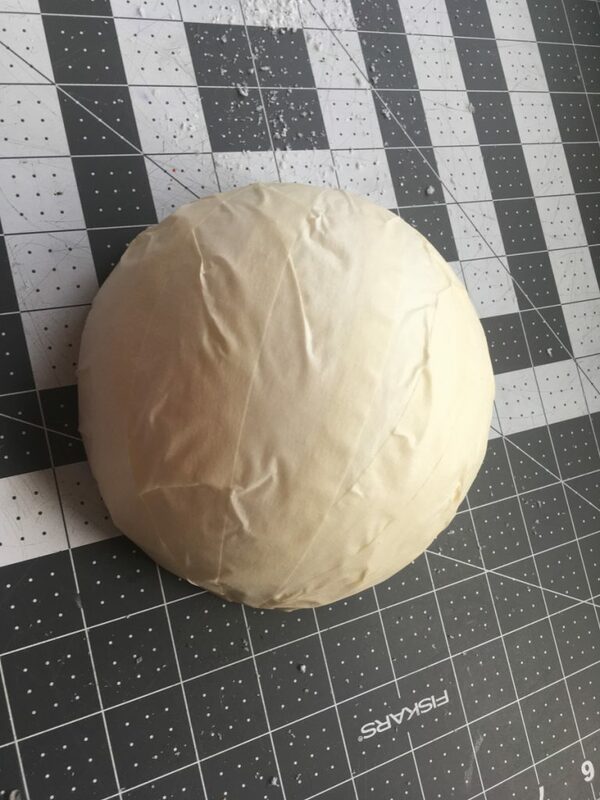 Thanks again to Termina Cosplay for sharing this tutorial with us!